dodie has released ‘If I’m Being Honest’, the latest track to be heard from the Human EP, due for release on 18 January in digital, CD and vinyl formats. She has announced her biggest UK tour to date and will headline Norwich’s UEA LCR on 23rd March 2019. It follows the EP’s title track, ‘Human’ (feat. Tom Walker), released last month to a rapturous reception, with the song already exceeding 2.5m Spotify plays and 1.5m views for the video on YouTube. ‘Human’ was Phil Taggart’s Chillest Record on BBC R1, and received further support from Clara Amfo and Annie Mac. Starting with the line “I was told this is where I would start loving myself”, ‘If I’m Being Honest’ details the feeling of being gripped by insecurity and self-doubt in the hope of romance:“Sadly I just think that I was disgusting today… I’m left a stuttering ten”. The live video, directed by Sammy Paul, sees dodie perform ‘If I’m Being Honest’ in the stunning Piehouse at the Matchstick Theatre,accompanied by a string section. The HumanEP follows two self-released EPs, 2016’s Intertwinedand last year’s You. Both EPs reached the top 40 of the UK official album charts, with Youpeaking at number six, despite receiving little promotion. 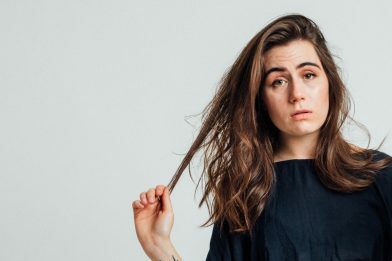 dodie has just completed a sold-out tour of the US. dodie will embark on an extensive tour of the UK and Europe to celebrate the release of the Human EP, beginning in Antwerp on 10 February and culminating in her biggest show to date at London’s legendary Roundhouse on 24 March, which has limited tickets remaining. Tickets and more info are available at dodie.co.